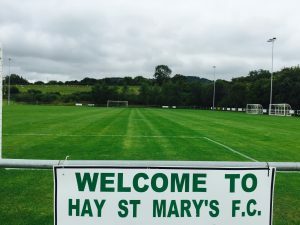 The Saints make the short trip to league 1 side Builth Wells FC in ‘The Central Wales Cup’. Once again it looks like the weather will have a big day in this. As I write this it’s pouring down and blowing a gale outside. The reserves are home tomorrow where they will play host to Newcastle FC.